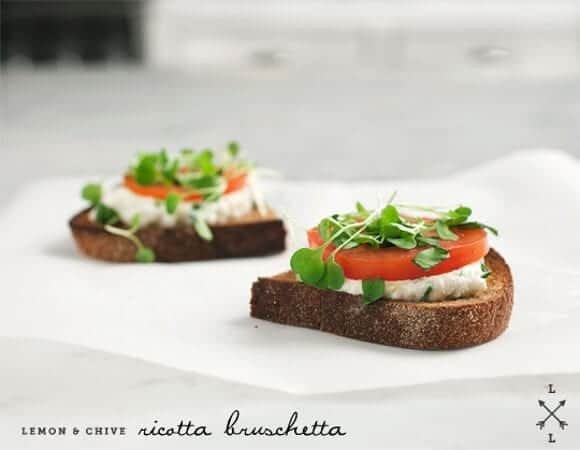 Creamy, bright lemon & chive ricotta tops crisp toast to make a delightful summer appetizer. 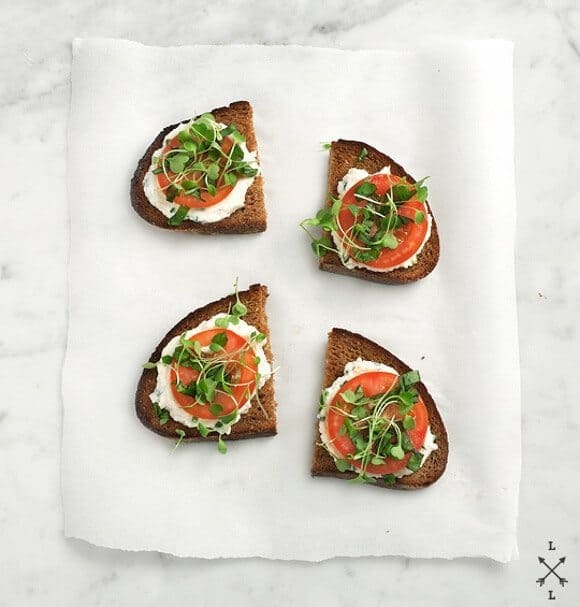 Tomato & basil add more flavor & nutrition to this quick snack. Spring cleaning is happening today at my house, so I’m gonna keep this one short and get back to it. My dad is in town visiting, which I love because he’s the cheapest labor around. As long as I keep the fridge stocked with beer, he’s a happy guy. So I guess you could say this was a fancy beer snack we had yesterday evening. Not a pairing I would recommend, but my dad is not really the “pairing” kind. This ricotta mixture is light and mellow – it’s not a punch of garlic-herby flavor – it’s bright and slightly sweet. Of course, you could could adjust it to be as bold as you like. Drizzle the bread slices with olive oil and season with a pinch of salt. Toast under the broiler, or grill. Slice garlic clove in half. Once the bread is nicely toasted, rub it with the open side of the garlic. Set aside. Slice the tomato, sprinkle it with some salt, and set aside. 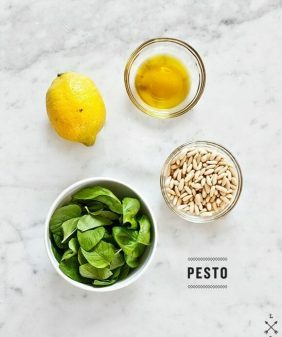 Mix together the ricotta, lemon juice, lemon zest, minced garlic, honey, chives, and pinches of salt and pepper. Taste and adjust seasonings. 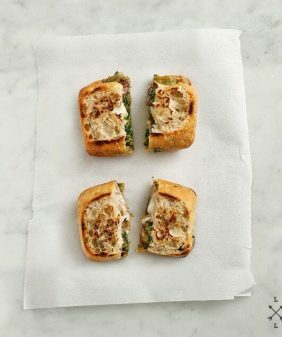 Assemble and top with chopped basil and sprouts. 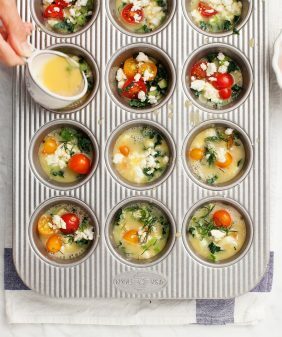 I love your take on this week’s recipe, and your photos are gorgeous. I haven’t done anything with ricotta in a while, but I might have to change that soon! I laughed at your beer and fancy appetizer pairing. I could definitely see a Prosecco with those beauties! This looks like my perfect afternoon snack! 🙂 Yum! I love the addition of honey. Such a beautiful bruschetta. 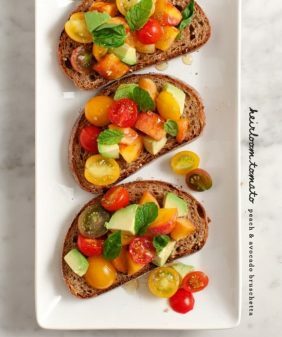 There is so much beauty and class going on in this bruschetta… I love it! Wish I came up with something awesome like this! Oh ricotta, how I love thee! I’m imagining these with some homemade ricotta right now, and boy is my tummy grumbling. I think that ricotta spead sounds wonderful. Thanks for the great idea! This combination sounds so simple, but so good. 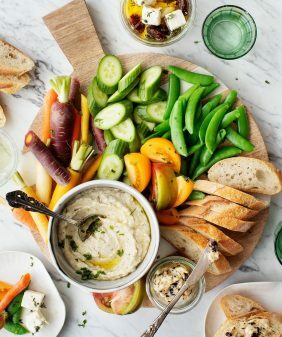 Every time we buy ricotta, we seem to have just a little bit left over & this might be the perfect dish to use it all up! This looks delicious! I think bread and beer go well together, so I’m sure your Dad love this! So pretty! Ricotta is not my favorite cheese, but then again, I don’t think I’ve ever tried fresh ricotta. I think that might change my mind! 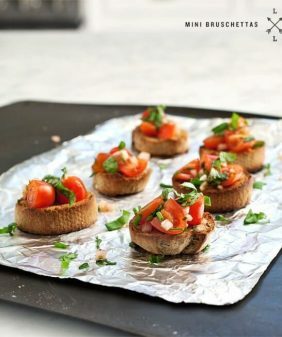 I love the simplicity of this bruschetta! Ricotta sounds good but I’m a huge fan of goat cheese so will try them both!